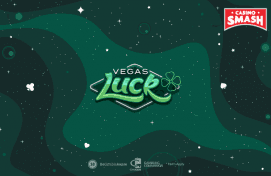 It's going to be fun - play Slots, collect tickets, and win AMAZING prizes! Win cash prizes and a trip to New York! 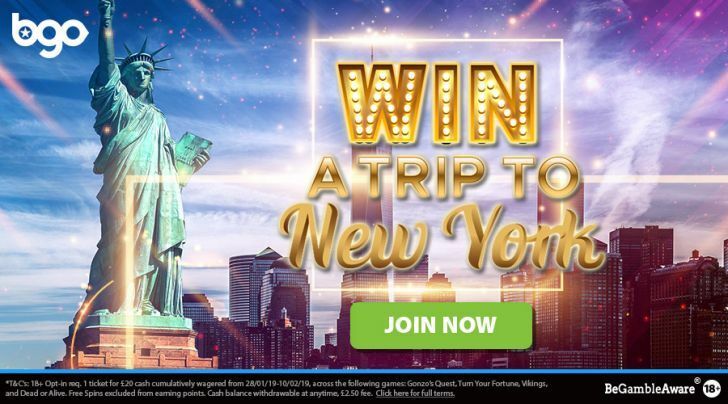 A couple of days ago, bgo Casino launched two giveaways with the chance to win a share of £15,000 and a trip to New York. All you need to do is play Slots and collect raffle tickets. Already want to join the fun? This is the link that leads to bgo Casino. Register a new account (or log into your old one) and start collecting tickets - you still have the chance to beat the other players. Let’s talk about bgo's Cash Splash giveaway. Play the selected Slots until February 6 and get one draw ticket for every £20 you wager. Then, bgo will randomly choose 1,000 winners to share £15,000. If you win the first place, you’ll get £3,000 - so it’s worth the £20 wagered! Also, there is no limit to the number of tickets you can get - so feel free to play as much as you want. Aloha! Cluster Pays Play now! Important: only UK players can take part in this competition. T&Cs apply. Do you want to win a seven-day trip to the City that Never Sleeps? The better question is, who wouldn’t? This trip includes private transfers, staying at a four-star Central Manhattan hotel, daily breakfast, and $500 of spending cash. Play the qualifying Slots until February 10 and get one ticket for each £20 wagered. The prizes include the trip to New York...and winnings of up to £1,500. This time, you can collect up to 50 tickets per day. ⇒ Sign up and collect prize tickets! Even though there’s plenty of time to earn at least one ticket, I suggest you start doing it now for bigger chances of winning.